"A young girl was walking along a beach upon which thousands of starfish had been washed up during a terrible storm. When she came to each starfish, she would pick it up, and throw it back into the ocean. People watched her with amusement. The old man looked at the girl inquisitively and thought about what she had said and done. Inspired, he joined the little girl in throwing starfish back into the sea. Soon others joined, and all the starfish were saved. This story resonates deeply within us because it strikes at the core of what most of us long to do - make a difference. However, the standard by which we grade her impact and celebrate her wisdom is different than the standard we often measure ourselves by. We applaud her commitment to make a difference for one yet at times belittle our capacity to do the same. Why? Because we tend to measure our own success and significance in quantitative terms - how many starfish did we single-handedly remove from the beach? Only one? Just a few? Well, that's just not enough. And yet what this simple, child-like story reminds us of is this - you can never overestimate the importance of making a difference for one. The ripple effects run deep, reverberate wide and reveal themselves not just in the impact we can have on that one, but also in the impact that one in turn can have on others - today, tomorrow and for generations to come. It's never "just" one starfish or "only" a few. There's far more to the story than that. At the heart of the gospel is a radically pursuing God who goes to extravagant lengths for the sake of one. He’s a God that scripture says will flip a house upside down in order to find one lost coin (Luke 15:8-10), would leave the 99 in order to chase down one lost sheep (Luke 15:3-7), would pause in a mob-like crowd to speak into the life of one struggling woman (Mark 5:24-29), would spend days traveling to heal one sick little girl (Matthew 9:18-26), would throw a lavish party for one lost son who has now been found (Luke 15:11-32). This is the never-ending and always-pursuing love of God, systematically changing the entire landscape of humanity one.individual.person.at.a.time. We don't discredit His pursuit of one, but instead celebrate Him all the more because of it. How can the Creator of the entire universe be so intimately in tune to and concerned with the needs of one? Beautiful. This is the heart of God decisively demonstrated through the gospel – He is consequentially concerned with the whole, but never to the neglect of the one. There's no "just" or "only" with Him. There's far more to the redemptive story He is telling than that. So, foster and adoptive parents - do not minimize what God has gone to great lengths to magnify. Do not devalue that which He has over and over again considered worthy. There’s no “just” or “only” in what you are doing. You haven’t “just” fostered a few or “only” adopted one. Rather, you have significantly altered the trajectory of a life forever. Generations to come will never be the same - not just in the life of the child you are loving but in your life as well, your kids', their kids' and their kids', and even in the lives of those at your church or in the grocery store or at the gym watching you, wondering and considering. That’s so much bigger than “just” and “only”. There's always more to the story. Of course the need is overwhelming and the work is never-ending, but to even subtly suggest that the one was not enough because there's still 99 others is to measure your impact in quantitiave terms, not qualitative ones - as if somehow your impact is only measured in the total number of kids and not their individual names. I've often witnessed conversations between foster and adoptive families that seem to subtly pit the number of kids they've cared for, how long they've been involved or how hard it's been for them against one another. "How long have you been fostering?" Three years. "Ah, we've been doing it for 13." Or, "How many kids have you had in your home?" We've had two so far. "Cool, we've had 19 and currently have two sets of sibling groups all under the age of four." Or, "We're really struggling - our foster daughter is not doing well in school and is having a hard time attaching to us and others." I'm sorry to hear that, we once had a foster daughter that burned our house down. Perhaps we don't mean it intentionally (or maybe some people do), but you can see how hard some of these conversations might be. It's the equivalent of asking a little girl how many starfish she's thrown back into the sea and then responding to her with how many more you have, how much longer you've been doing it and how much more difficult it has been for you than it has been for her. I'm not suggesting we shouldn't have safe places to share our stories, our struggles and our experiences. Of course we need that. It's very much part of the lifeline of our ability to survive this whole thing. But what I am suggesting is that this isn't a spiritual "peeing" contest to see who can do the most for the longest and come out with the hardest and worst stories. Instead, it's a call to obedience and faithfulness - to whatever it is God has asked of you. For some it might mean the 99; for others it might be the one - or a few. And that's okay. Be free from the temptation to posture yourself, and be free from the pressure to have to prove anything to anyone. I have felt the hesitation in myself at times. We've "only" adopted one little girl and have informally adopted a teenage mom and her little boy. We've "just" fostered a few, but not dozens, and we don't drive a 15-passenger van. But I'm consistently surrounded by people that have and do. They've done it longer than me, have had it harder than me and have experienced far more than me. It's easy to shrink back in silence with my "onlys" and "justs". To stay quiet in the lie which tells me my journey is inferior to that of others and not worthy of being shared. And yet if I do, and when I do, I minimize what God has done and ultimately devalue the story He is telling now in our family and has always been telling in the gospel - that the ripple effects of simple obedience run deeper and reach farther than I could ever possibly fathom on this side of eternity. He can move mountains with mustard seeds and feed thousands with a few loaves and fish. And if those things are true than He certainly has the capacity to expand and extend what sometimes feels small and simple into something that's significant and substantial. The ripple effects on our family have been deep and profound. The pictures in the frames on our shelves reflect a diversity and uniqueness we would have never dreamed of before. 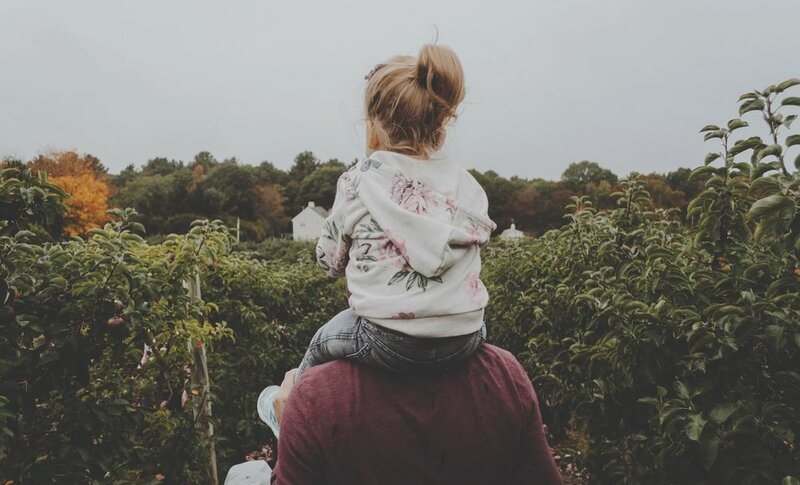 The impact on our biological daughters' worldview and perspective has been a gift to them that we as mom and dad would have never been able to offer on our own. The sense of mission and purpose in our marriage and home has clarified and intensified. The stories of those who have said they caught a glimpse of what it looked like through us and were compelled to explore the same for them are humbling and exciting. All of this is grace. All of this is the mercy of God to multiply what small loaves we have over and over and over into something more than we would have ever been able to produce on our own. So, foster and adoptive parents - do not minimize what God has gone to great lengths to magnify. Do not devalue that which He has over and over again considered worthy. There is no "just" or "only" in foster care and adoption. There's far more to the redemptive story He is telling than that. The ripple effects you are stirring up through the few are immeasurably more powerful than you could possibly quantify on this side of eternity. Generations to come will never be the same. Just keep loving those starfish. Thank you for subscribing to the blog!